Millions of years of evaporation have left the Dead Sea more salty and more dense than any other natural body of water in the world, with a salt content over eight times that of the seas and oceans, attaining a concentration of 330-340 grams of salt per liter of sea water. In some parts, such as in the shallow southern basin, this rises and reaches saturation and crystallization point. The quantity of dissolved salts in the lake today is estimated at 44 billion tons, and in fact constitutes the largest concentration of minerals in Israel. The beginnings of the exploitation of these resources are firmly linked with the name of Novmaisky, an engineer who in 1920 won a concession and established the PPC at the northern end of the Dead Sea. Very early on, Novmaisky – both a realist and a dreamer – concluded that an efficient production process based on evaporation had to be located on a flat area suitable for ponds as large as possible. As the topography of the area in the north was not suitable for this purpose, he began five years later to set up a plant at the southern end of the Dead Sea; by the Second World War this was producing about 50% of Britain’s potash requirements and about 80% of the requirements of the British Dominions (excluding Canada). The political upheavals of 1948 froze production until 1952, when the Dead Sea Works was established. This, today, forms the basis of a modern industrial complex which markets its products to over 65 countries on five continents. Thus, the Dead Sea Works enterprise – founded on the chance labor of adventurers and a handful of men obsessed by Noviensky’s dream, living in subhuman conditions – became a giant complex, which in its immediate area alone provides a living for thousands of families and has become a major factor in the accelerated development of the northern Negev. The need to feed the growing world population and the development of innovative methods of agricultural production have, together, created a mounting demand for agricultural fertilizers based on the three most important elements for plants – potassium, phosphorus and nitrogen. The potassium in the Dead Sea is found in the form of potassium chloride salt. The quantity is estimated at 1.9 billion tons. It is produced at the Dead Sea Works by a process based on selective sedimentation of the non-required minerals in a system of evaporation ponds until the solutions of the desired composition are finally obtained. For the construction of the ponds a system of dams was built which today encompasses the Israeli sector of the shallow southern basin of the sea, which is now in fact a vast evaporation pond. At present, the water of the Dead Sea is pumped from the deep northern basin a distance of 400 meters and carried in a canal to the southern basin, into the ponds, where – through natural evaporation – the water loses 50% of its initial volume and kitchen salt and calcium chloride crystallize out into a second system of ponds. Here the carnallite, which is the raw material for producing potash, crystallizes and sediments. Potash is an impure form of potassium carbonate (K2CO3) mixed with other potassium salts. Potash has been used since ancient times as a fertilizer and in the manufacture of glass and soap. 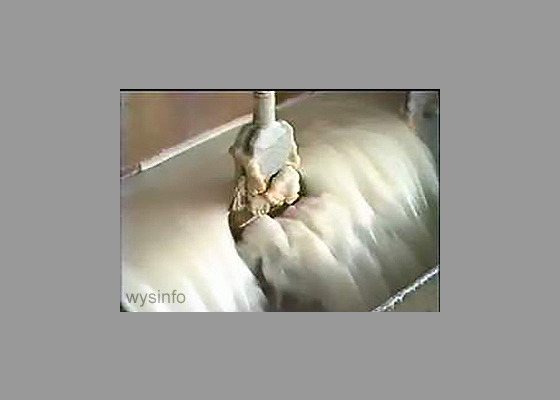 This material is mechanically ‘harvested’ from the bottom of the pools and pumped through pipes to the potash plant. Here the carnallite crystals are separated from the stock solution and washed in water to dissolve the magnesium chloride in the solution. In a further series of steps the potash is extracted and transferred to bulk storage facilities, where it is shipped abroad in accordance with the demands of the world market. 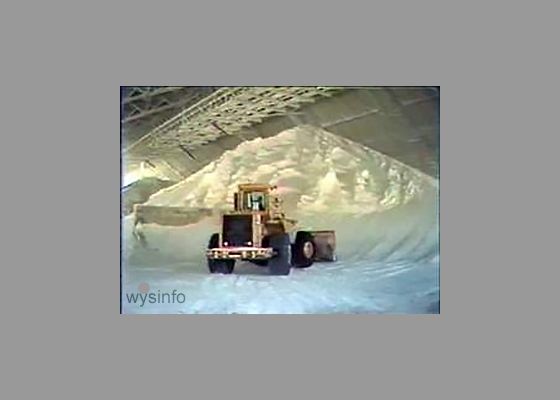 The huge quantities of salt, produced as a by-product of the potash, supply local needs after further processing here and some is even exported as both kitchen and industrial salt. A two-stage cold crystallization process for manufacturing potash invented in the research and development laboratories of the Dead Sea Works led to the establishment of a new plant which lowered the costs of potash production. Those who conceived the idea of exploiting the resources in and around the Dead Sea were never satisfied with the production of potash and phosphates as raw materials alone. The establishment of the Arad complex, now comprising three separate plants, arose from the desire to develop compound fertilizers, whose price on the world market is ten times higher than that of the raw material. 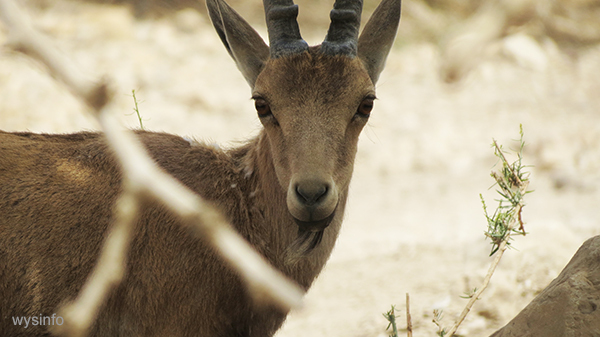 The brine of the Dead Sea Works waste products, which the Japanese have used to fuel a motor cycle, and the phosphate-rich sediments to the west of the Dead Sea, were combined in a process developed in the laboratories of Israel Quarries to produce phosphoric acid of high quality. This in turn can be used to produce compound fertilizers on a phosphorous base, whose quality and price have aroused interest among fertilizer manufacturers around the world. Bromine (Br) is the only liquid nonmetallic element at room temperature. It bonds easily with many elements. The Dead Sea is the richest resource of bromine, used in fumigants, flame-proofing agents, water purification compounds, dyes, in certain medicines, sanitizers, photography, etc. 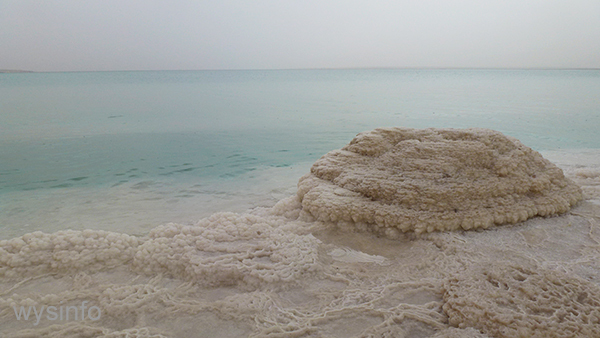 The solutions produced in the carnallite ponds in the Dead Sea, contain bromine at a concentration 140 times higher than in normal seawater. This provides the raw material for a large bromide plant that has branches located around the world. The bromine plant, together with a plant manufacturing bromine compounds through advanced locally-developed technologies, have made Israel a key player in the world market. As against the 1.2% potash and the 0.5% bromine, the concentration of magnesia in the Dead Sea reaches 13%, which means over 17 billion tons – a quantity sufficient for the world’s requirements of this highly valuable metal for several centuries. This substance is the raw material for several vital products in modern industry, including the auto and aviation industries, on account of its strength and light weight. The Dead Sea Works at present produces only a relatively small amount of the full extent of the natural resources in and around the sea. It has not yet begun to realize even a tiny fraction of the sea’s potential in lithium and other elements it contains. The Dead Sea Works holds the concessions for development of the Dead Sea resources, the sea bottom, and the water to the west and south. In fact, any activity along the shore of the southern basin and south of it is subject to the agreement of the company and is conditional upon non-interference and non-competition with its own operations. However, these areas contain tourist spots, agricultural settlements, roads, nature reserves and parks with unique flora and fauna, and there is little doubt that in practical terms the industry is obliged to consider their needs, which sometimes clash with its own development requirements.